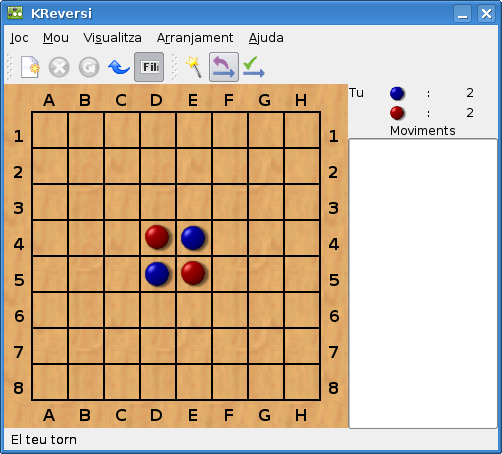 On May 1st, the KDE games developer community held its monthly IRC meeting. This time the major topic was discussing which games would stay in the kdegames module for KDE 4 and which ones would have to be removed because they don't meet our self-imposed quality standards. Read on for a discussion of this decision. 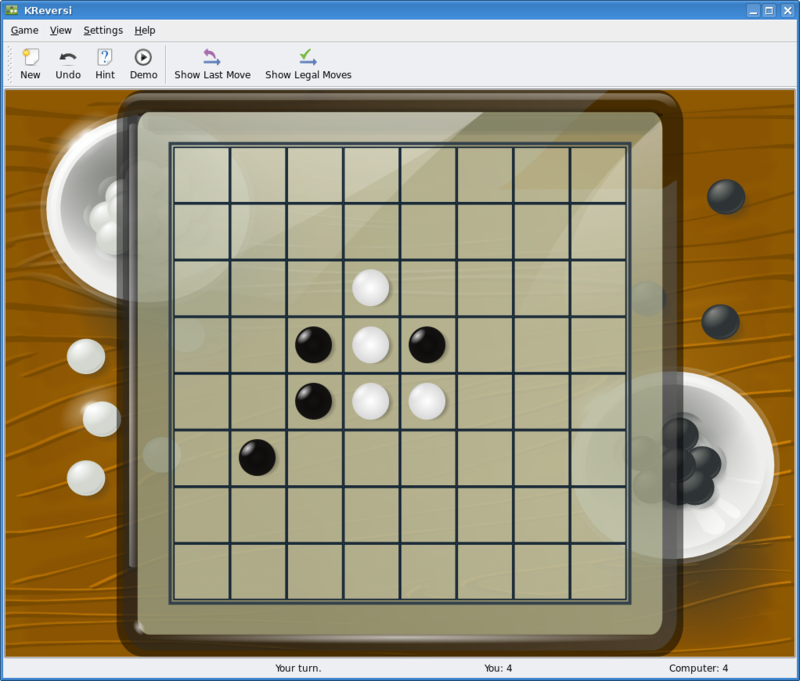 now feature high resolution screens, and having non-resizable games decreases their usability, so now most KDE games use SVG graphics or similar techniques to achieve this functionality. 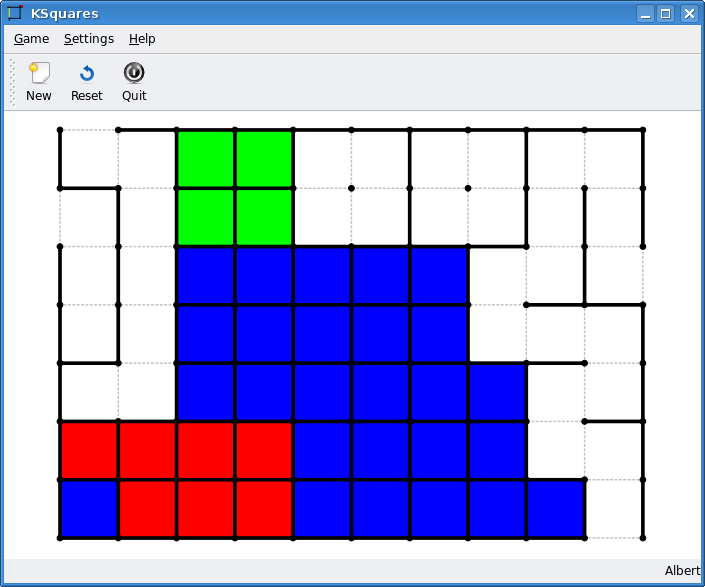 KDE implementation of the paper "squares" game and Kiriki, a Tali dice game. no maintainer was found to work on the KDE 3 to KDE 4 transition. If any of these games is on your list of favorite games, join us and start working on it so it makes a star comeback in KDE 4.1. For more details, read this commentary from the kdegames module release co-ordinator. KDE is a great Desktop Environment!!!! Both games are not "politically correct", but it's exactly this reason why they are so popular. Will be very hard to get such games into the standard KDE environment. why waste time on games? I use KDE at home and work. My home office is KDE only. IMHO KDE team should not waste their valuable time on games. Games are the least important parts of KDE. Re: why waste time on games? If you don't like it maybe you could hire them to work full time on KDE4? I hear the plasma dev's have not even written any code yet so they could use a hand. If you haven't heard, then you should start checking again. There's work being done on the library side, there's krunner already in. It's not finished, but it's definitely under way. Stating this kind of FUD is putting of developers, so please educate yourself before doing so. > so they could use a hand. Since most of the KDE contributors are not paid for what they do they will work on whatever they like (which is probably their own applications). It's their decision. They are not resources that can be reassigned by some KDE project leader. KDE as a project just doesn't work like that. These cool guys are not "movable resources" that can be assigned to a different task.. ;-) Likewise, putting all GNOME developers at KDE code won't make KDE4 development twice as fast. So understand: if these cool guys were not working on KDE games, they likely wouldn't work on KDE at all. Keep the thumbs up for them! I would say, do more work on games. 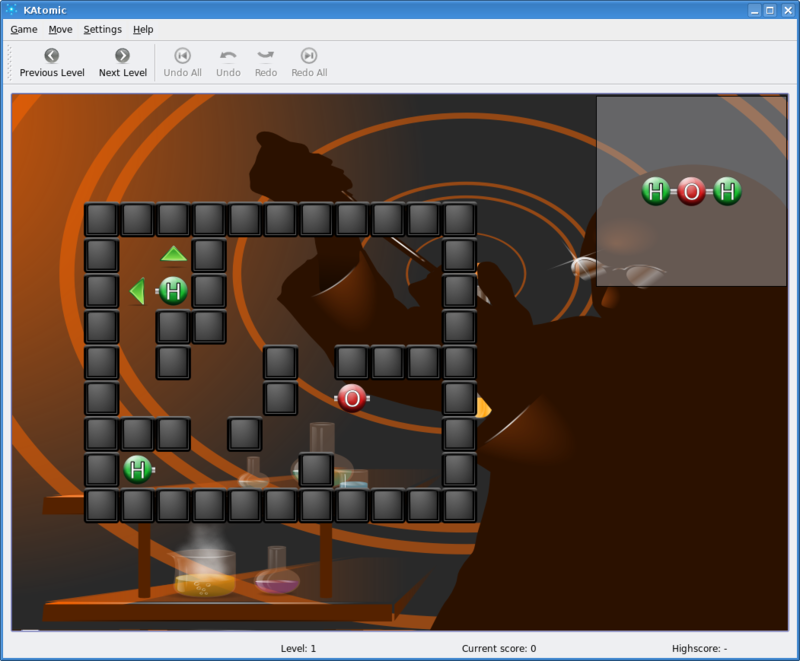 Games are a ideal start for new developers, as they are small, don't depend on other more complex projects, but allready take advantage of all the kde-core technologies. And many of the devs working on games, also contribute to other projects. So if nobody works on improving games which attracts new developers, that might result in less work being done on other modules. I really hate it when people say "stop working on this, work on xyz instead." It shows complete ignorance of open source and a certain level of just being a jerk. Note that I don't mind someone simply saying "please implement xyz", user requests are an important part of open source development. Or for that matter "please don't implement xyz, I think its a bad idea" is great as well. But the notion that the thread parent has that people's free time is something they have the right to redistribute is just disrespectful. I don't think astronauts should waste their time in space while I have pot holes on my street. They should fix the pot holes and other things first. Point: Game programmers are game programmers...that is what they do. What about KMahjongg and KShinen-Sho? Those are two games which I would definitely _hate_ to lose. While I don't have the time to play them regularly, I get into a frenzy every few months..
Re: What about KMahjongg and KShinen-Sho? 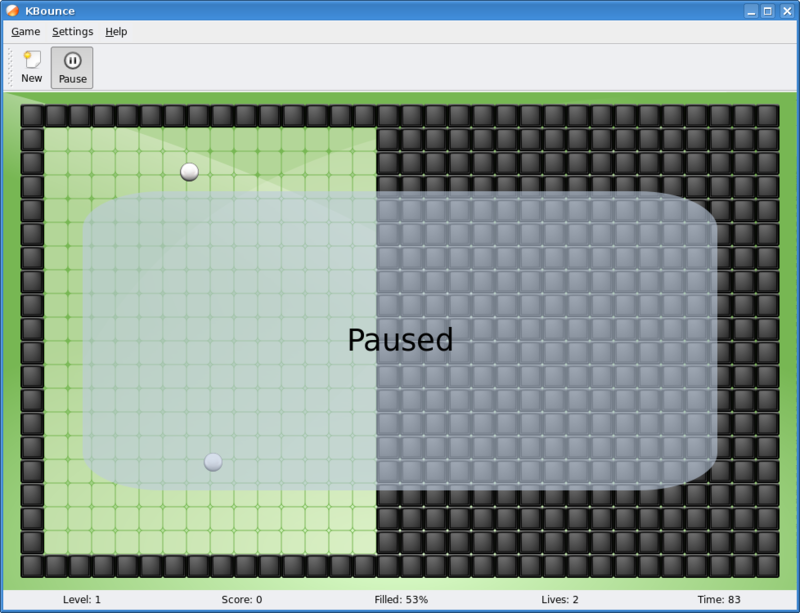 I think the games in KDE4 are getting way too much attention. The games are nice and all, but are an extra. A way to entertain people. But where is plasma? Where are the great features the plasma project was talking about? Where's the "arthur" eye candy in the theming engine for KDE4? Where is the task-based approach everyone was talking about. Plasma seems to become vaporware. Please don't let it come that far and focus on that what needs to be done before we find ourselfs playing games in a QT4'th KDE3. Sigh... stop being so negative. Do you realize what you say will just discourage the developers? If you think something has been overlooked, please help. Otherwise, post *constructive* criticism, politely. Messages like these are useless, because they help neither the developers nor the community. B?ll?cks. Plasma was never going to be the most important thing about kde4. Perhaps nepomuk, perhaps the various improvements that get made daily to kdelibs. Quite possibly the qt4 goodness. But to fall into the trap of putting eye candy at the top of the agenda... hey, anyone heard of the enlightenment windowmanager recently? I don't think anyone among the KDE developers (if anyone can confirm, please post) put eye-candy on top of the agenda. Look at Solid, Phonon, Decibel, Strigi, Nepomuk... nice technologies that don't bring eye-candy at all, but they're extremely useful. not to mention the huge work that went into kdelibs (and I thank aseigo for posting those reports on "kdelibs mondays" on his blog). I think that most of the people who call Plasma "vaporware" confused the goal of the project with its visions, or have unrealistic expectations. Whatever becomes of plasma in the end, you have already done a tremendous amount of work on kdelibs and KDE coordination and promotion in general. Thanks a lot Aaron. You rock. I`ll take it easy and trust the KDE developers. KDE 3 is already a beast of a desktop and i think KDE 4 will be even more powerful. So thanks to all KDE Developers making it possible, you rock ! Correct, the user's expectations for 4.0 might not be met, most of the exciting stuff will be in KDE 4.0 however. It will take some time to make it into various applications, that will happen in the lifecycle of KDE 4 (so in 4.1, 4.2 and so on). We (the Marketing Team) are trying to match those expectations to the reality, to make the difference between 4.0 and KDE 4 more clear. Maybe not vaporware, but the importance of it is definitely overestimated. Praise a bit more and I'll call it hype. Those two are the games that save my rainy afternoons, along with wesnoth. Please don't lose these for KDE4. If you need some help, then I could but I'm a web programmer, not a GUI programmer. With some patience I could learn but I really would love for those games to stay. Well, as is always the case in open source development, we have a shortage of everything :). But the main reason we've dropped these games is because there was no-one maintaining them. Some of them were introduced many, many years ago and the person who originally wrote them is long gone or is working on more important things in KDE. The main thing thing we need for each game if we want to see it make a comeback in KDE 4.1 is a programmer to say, "I'll maintain this game and get it up to date." and since this announcement was made we've had a number of people come forward. We'll have to wait a while to see what sort of results we get but if any of you want to help out, join the kde-games-devel@kde.org mailing list and come see us on #kdegames in irc.freenode.net. We're all very friendly :D and we'll help you with getting started. Looking at KBounce and KSquares I notice that they all use the same SVG block images and these images could be used further in games like KSirtet. This is a good thing and makes me wonder whether there is any merit in developing a generic 'game imageset' in SVG, or whether one exists already. Well actually, KSquares doesn't use SVG at all :D. It's just drawn programatically using Qt. The simplest way is probably to simply decide on common elements and create all the individual themes is a similar way. but attractive - and worthwhile! i know that these games mostly are 'distractions', but on a longer run, it is really interesting to compare highscores for different people. 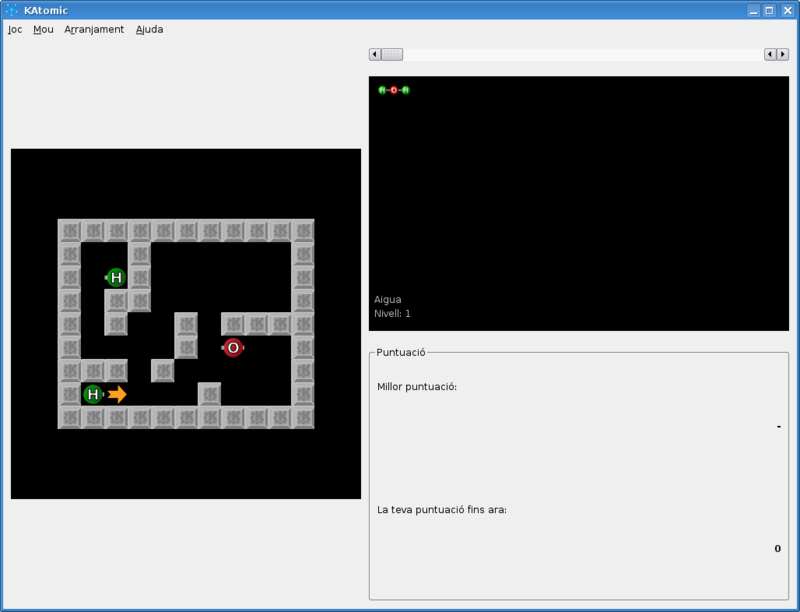 for quite a long time, i have wished for a unified highscores framework for kdegames, which would allow for games to simply call some functions and save their scores to a centralised location, in an unified manner. this would make it easy to move scores between user profiles, machines - and also would ease a lot the process of unifying highscores from different locations. i have no programming knowledge at all, so there is no way i could do anything in that area - but maybe somewhere somebody has thought about this, too ? I have been working on this for KDE4. There is tutorial on using the high score system at http://techbase.kde.org/Projects/Games/Highscores. 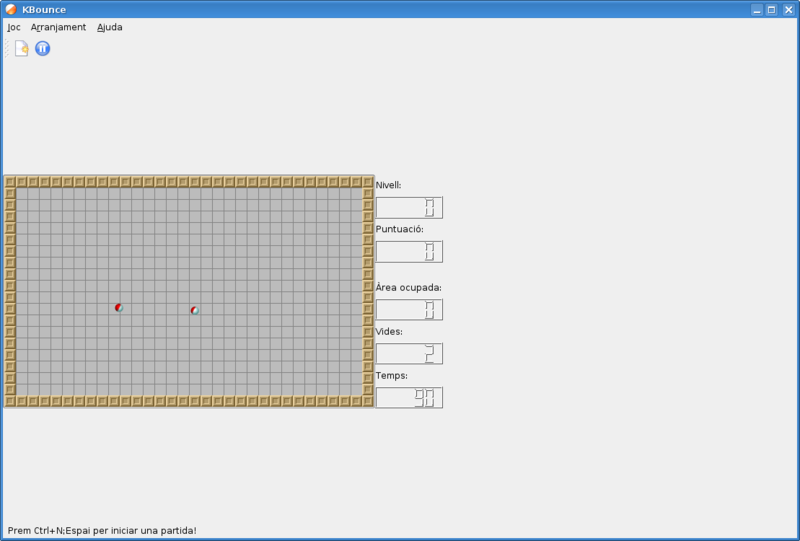 It doesn't yet provide a way to save the highscore to a system-wide location but that is planned. Currently there is a push to convert as many of the current games to use this new framework in order to provide a consistent style.